Reawaken tired, weary eyes with Decorté Liposome Eye Cream, a lightweight eye gel that has been specially formulated to treat signs of aging and fatigue around the delicate eye area. 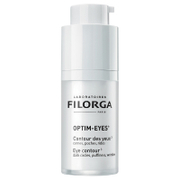 Delivering deep moisture for all-day comfort, the oil-free treatment contains a concentration of multi-layered Liposome Technology™ and Polyglutamic Acid to intensely hydrate, firm and brighten the appearance of fragile skin around the eye contour. 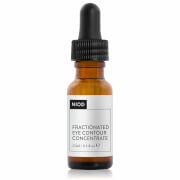 Its moisturizing properties help reduce the appearance of fine lines for younger, smoother-looking skin. 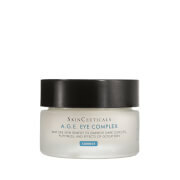 The high performance eye cream will leave skin with improved resilience and overall texture. Water (Aqua), Butylene Glycol, Glycerin, Glycosyl Trehalose, Hydrogenated Lecithin, Alcohol, Hydrogenated Starch Hydrolysate, Ginkgo Biloba Leaf Extract, Lagerstroemia Speciosa Leaf Extract, Oyster Extract, Palmitoyl Pentapeptide-4, Panax Ginseng Root Extract, Polyglutamic Acid, Sodium Hyaluronate, Tocopheryl Nicotinate, Carbomer, Cholesterol, Hydroxypropyl Methylcellulose, Polysorbate 20, Sodium Hydroxide, Methylparaben, Fragrance (Parfum).